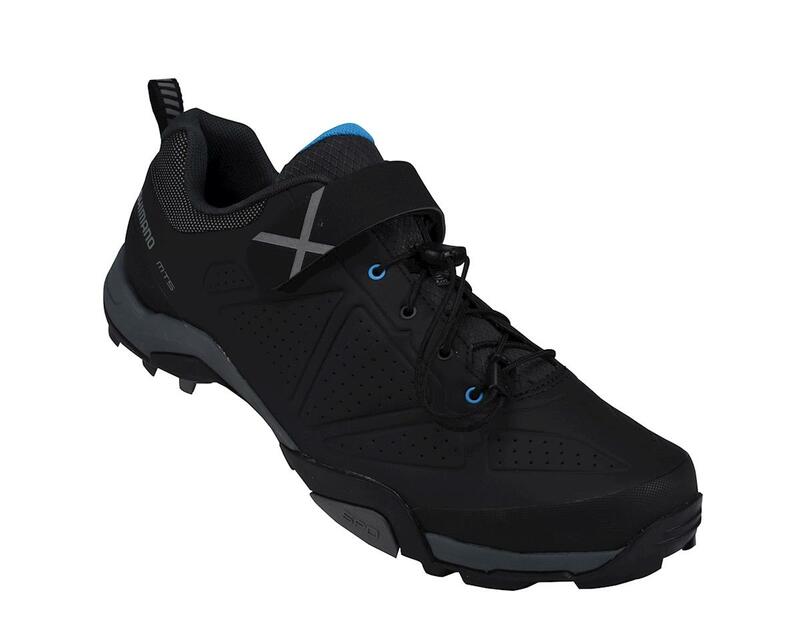 As comfortable on the bike as they are off, the Shimano SH-MT5 Mountain Shoes combine power efficiency for pedaling with comfortable flex for walking. 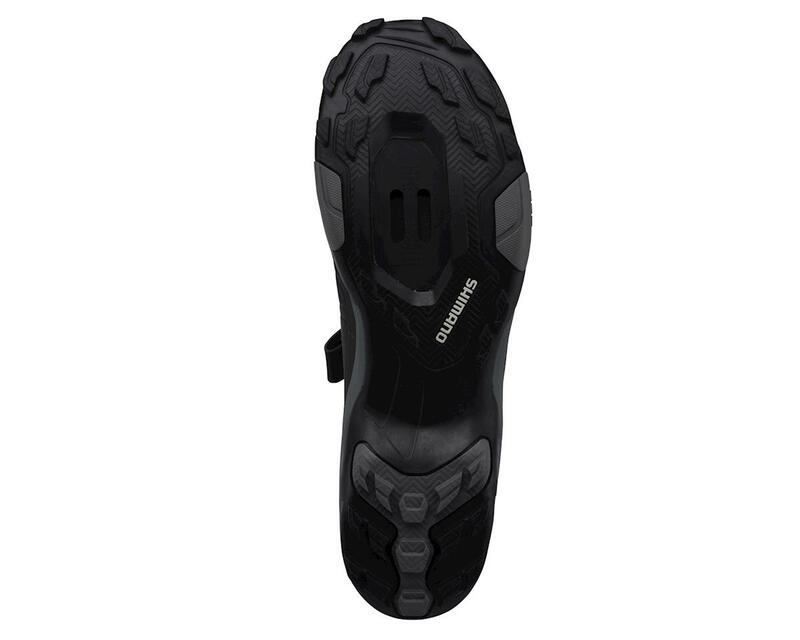 Fiberglass-reinforced shank plate provides optimum sole rigidity while the EVA midsole and rubber outsole enhances grip and durability. One-piece synthetic leather upper is built to withstand abuse while remaining lightweight. 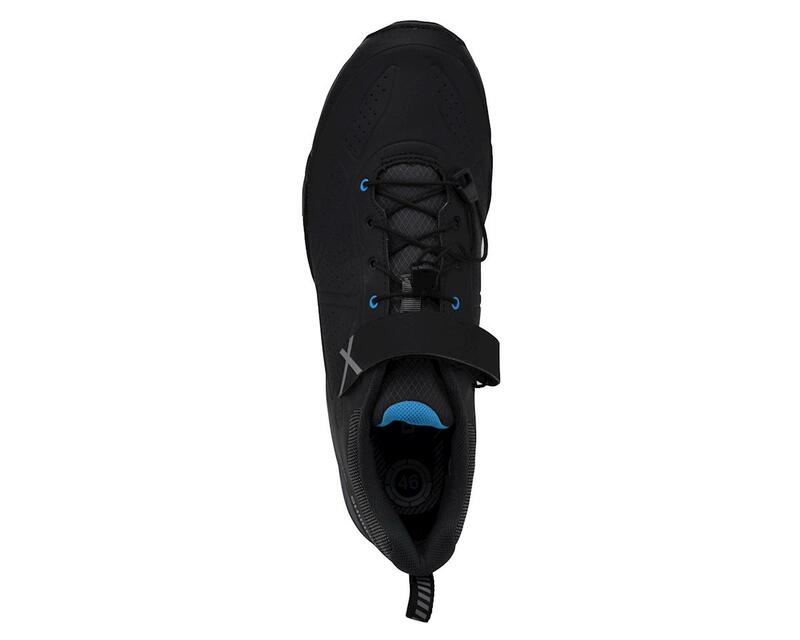 Speed Lacing closure with Velcro strap is fast and easy to adjust for a secure fit.